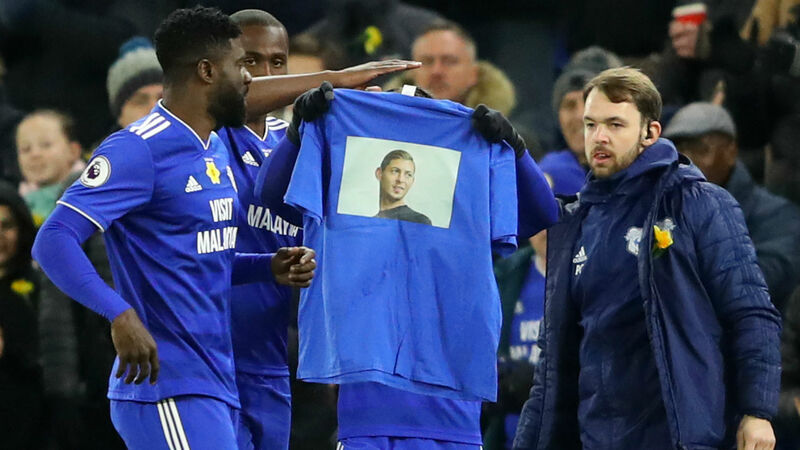 Professional soccer player Emiliano Sala's death was caused by injuries to his head and body, a coroner confirmed Monday. The Argentine striker was on board a Piper Malibu aircraft that disappeared last monthy over the English Channel on its way from Nantes, France, to Cardiff, Wales, after the 28-year-old had become the Premier League club's record signing. Last week, a body was recovered from the wreckage of the plane and subsequently identified as that of Sala. Pilot David Ibbotson, the only other person on board, remains missing. During Monday's hearing of the post-mortem examination, Dorset Coroner's Court concluded Sala's death was caused by injuries to his head and body. There will now be an interim investigation that is expected to be concluded within the next 6-12 months.